This work of art is known as the Kromski Mazurka Wheel. This wheel is hand crafted in Wolsztyn, Poland. The Kromski family owns and operates their wheel repair and wheel making business. 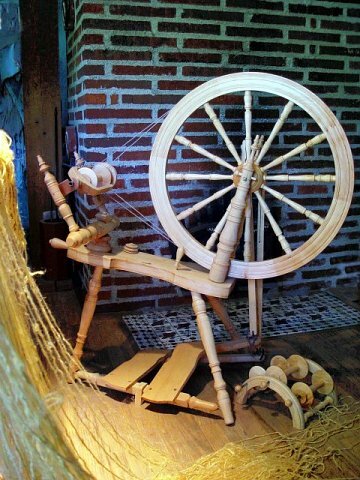 It has been in the family since before WW I. European Birch and Alder wood make up the this wheel. 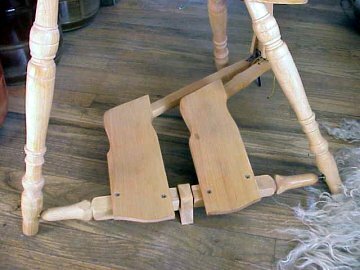 We chose not to stain it but coated it with a natural oils. 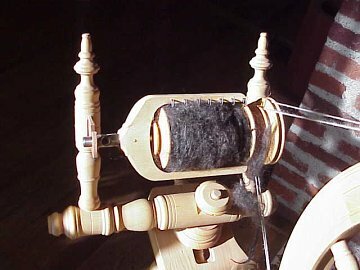 The action is double treadle to facilitate the even excursion of energy from both legs during long hours of spinning. Close up of the wheel mechanism. A birch peg holds the "bearer" cap in place and also secures the axis rod. 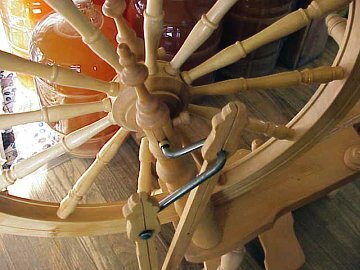 Close up of the wheel mechanism. 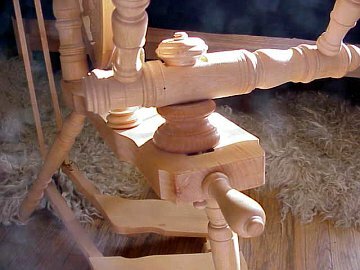 The wooden tension screw that adjusts the "mother of all". 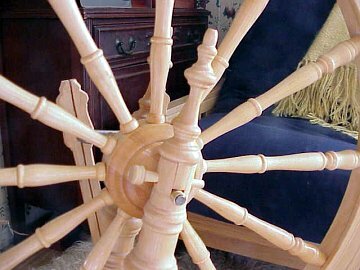 This wooden nut secures the mother of all to the base of the wheel once the tension is adjusted. 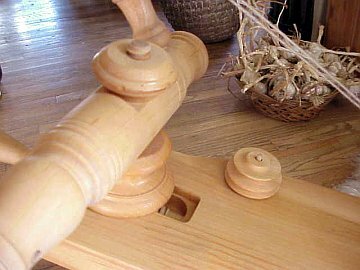 In view is the small speed spindle. When put in place the flyer spins much faster. It is an old fashion device that adjust the wheels gear raio. This is the flyer assembly. The wheel uses a double string configuration to maintain the spin synchronization between the spindle and the flyer.